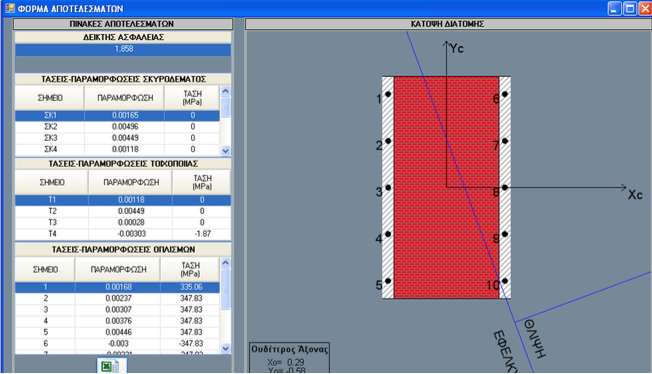 MACSAN (Masonry And Concrete Section ANalysis) is software developed for PC that permits sectional analysis of both two-phase masonry and sections. It computes the factor of safety for given set of axial force and bending moments and provides a graphical representation of the neutral axis location and orientation. The software also provides an interface with the computer code CSI/ETABS for quick processing of multiple sections. The software is ideal for existing masonry buildings with a large number of piers that are rehabilitated with concrete jacketing.